Appreciate the collections at Musee d'Orsay and Louvre Museum. 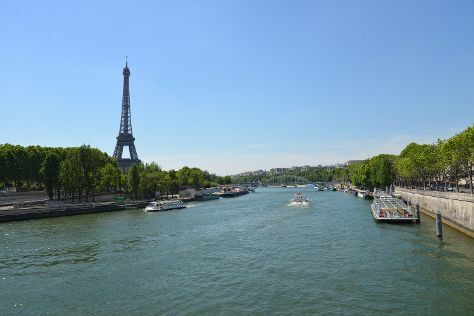 Do some cultural sightseeing at Seine River and Ile Saint-Louis. The adventure continues: take in the spiritual surroundings of Cathédrale Notre-Dame de Paris, take in the architecture and atmosphere at Sainte-Chapelle, and step off the mainland to explore Île de la Cité. To see maps, traveler tips, ratings, and other tourist information, refer to the Paris trip itinerary planning site . If you are flying in from United States, the closest major airports are Paris-Orly Airport, Charles de Gaulle International Airport and Paris Beauvais Tillé Airport. In July in Paris, expect temperatures between 79°F during the day and 60°F at night. You will have some time to spend on the 19th (Fri) before leaving for home.